I still remember how excited I was to get my first pair of eyeglasses. I was nine, and I picked a rocking pair of pink and purple frames. What I didn't realize when picking those glasses was that glasses are freaking expensive, and that my mom was going to make me wear them for the next four years. Twelve year old me was a little less psyched about wearing them every day. Since then, I've always gone much more conservative in my frame choice, knowing that I'd have to wear them for a couple of years. That is, until online glasses shopping became a thing and I could buy glasses whenever I wanted. This post is sponsored by GlassesUSA, but all thoughts and opinions are my own. I have to say, I've been wary of buying eyeglasses online, but this post makes me second think all that! Sounds super simple. And I love those picks that you have in the picture! Glasses are wayyyyy to expensive. I've been wearing glasses every day since kindergarten so I'm very aware of how important it is to realllly love your frames. In the past I spent way too much money on them but I've bought my last few frames online and it's overall been a good experience! 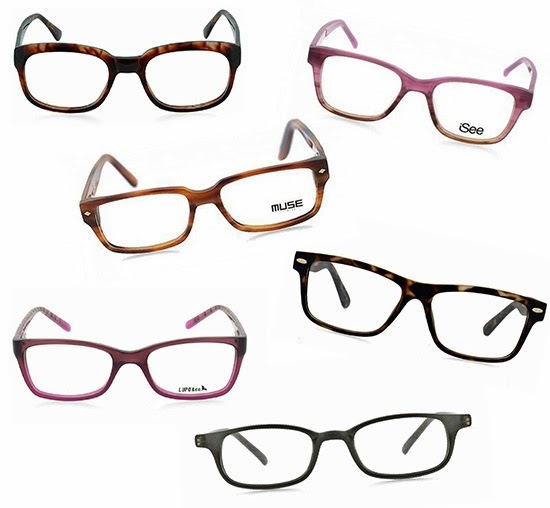 I still remember my first glasses- they were some pretty sweet frames with geometric shapes on the nosepiece. What can I say? I've been stylish for a very long time. I seriously haven't gotten new glasses since high school because I NEVER wear them, but it's good to know this is an option if I ever decide to spend the money!